Are my long runs long enough, isn’t my mileage too low? How’s this speed stuff going to help me? These questions are often asked by my marathon and ultra marathon athletes. I decided to write this article because in the marathon and ultra marathon seasons I have these questions coming up often, so here goes! Let’s start with Quantity. Weekly Mileage – So you are looking to run a marathon, great so it stands to reason to you should start packing on the kilometres….. right? I mean you must have to get your body used to running 42.2km for marathon or 90km for a Comrades…. right? Well a lot of experts would agree with you but the tide is beginning to change. There is more and more of a lean towards lower mileage over higher mileage, and this is not just because some of us want to be difficult but because the research has been done. In a scientific study at the University of Northern Iowa, 51 college aged males and females were selected for an 18 week marathon training program, group one ran 37 to 77kms per week over 6 days and group two ran 29-63kms per week over 4 days. At the end of the 18 week period both groups were tested and ran their marathon, everyone improved and the results were absolutely equivalent. So what do we get from this, don’t think by merely lifting your mileage that you are going to improve your marathon times, rather add intensity to your training plan before hitting the road for more kms. This we will discuss in the Quality section of this article. Traditional Long Runs – There is a common tendency for a marathoner to bang out a traditional long run every weekend, this is absolutely unnecessary, in fact knocking out these 30 to 35km long runs only raises the risk of injury and also steals from the quality of work that needs to be carried out in the following week. When training my marathon and ultra marathon athletes, I use periodization to gradually increase their weekly mileage along with their long run distance; this keeps the load light and the ability remains to knock out some great quality workouts. Marathon runners have the habit of forgoing the quality training required for improved marathon running, so the question is what are they missing out on and why is the quality work so despised. well lets go through the list and see what these workouts are and what the would do for you to improve your marathon time. Lung Busting Speed workouts – Yes those arduous interval, fartlek, variable pace and blended sessions are part of many speed sessions that you can do that will improve your marathon running performances. These workouts are sub-maximal and are done at varying velocities from 800m pace up to 10km pace depending on the adaption you want to train. Some of the benefits of speed work are improvements in cruising speed, injury prevention, fatigue resistance, pacing improvements. There are of course improvements in threshold velocity and VO2 & vVO2 as well. Speed workouts also bolster your psychological hardiness. Navy SEAL David Goggins talks about what he calls the 40% Rule. “When you feel like you are totally tapped out and feel like you have absolutely nothing left in the tank, you’ve actually only used about 40% of your capacity. There’s ALWAYS more left in the tank.” If you have done these track sessions, you know that feeling and you know how it feels to finish a track session despite feeling it was impossible to do. 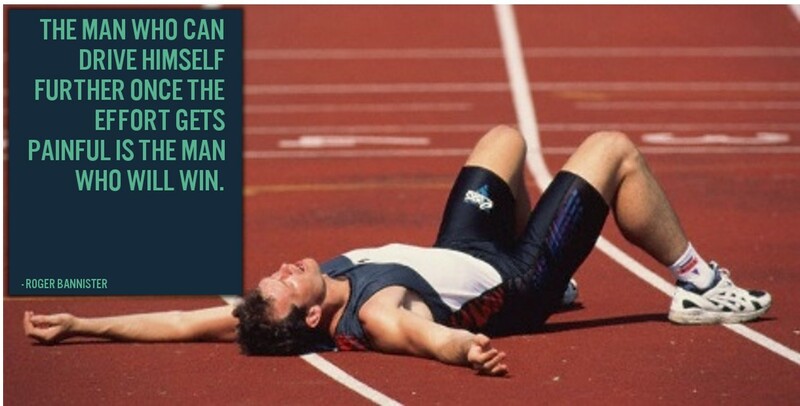 This is the mind set you need to run a marathon or ultra marathon. 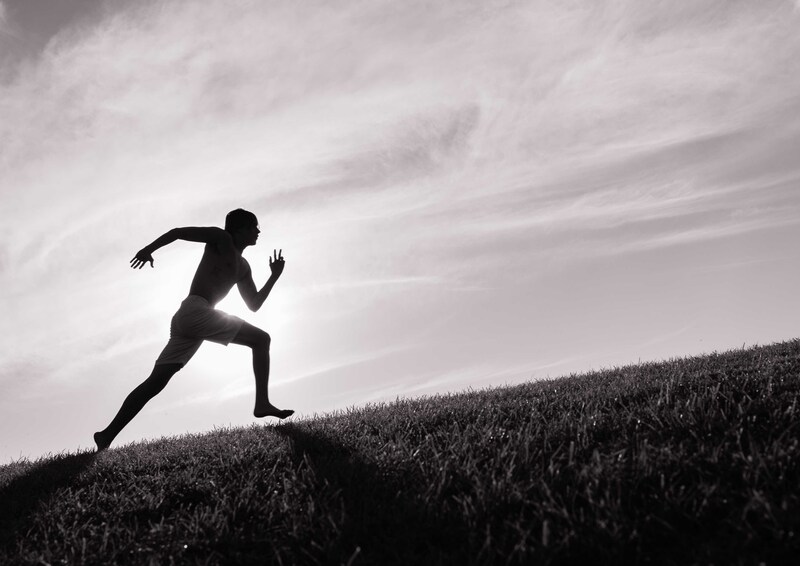 Hill Repeats or as we call them – Hell Repeats – We all know hill repeats and the majority of us dislike them but they are incredibly important to improving leg power which would improve stride rate and stride length. So how would this help in a marathon besides making you more comfortable on the hills. You have a higher stride rate which = less time on the ground with each foot strike and a longer stride which = more ground covered between foot strikes and this is all thanks to the leg muscles contracting more forcefully, more explosively and more quickly. Just these improvements could give you huge improvements on your marathon time. There are other reasons that hill training is so beneficial i.e. lactic threshold improvements, VO2 & vVO2 enhancements, fatigue resistance and injury prevention. In a future post I will be taking a more detailed look at hill training. Threshold Training – Running at threshold paces or more commonly known as tempo running is what I like to call running on the edge of fatigue. The science behind that is that as you run at higher velocities lactate starts to accumulate in the blood and a proverbial bottle neck is caused, in simple terms, the more lactate in the blood the more fatigue sets in. Think of a bottle of water, as you tip it to empty it, the water runs out unhindered at first, as you tip it more and more a bottle neck is created causing the bottle to empty at a slower rate. This is what is happening in your blood stream once you cross the threshold. The average heart rate of threshold pace it approximately 80-85% max heart rate. The the most beneficial improvement of threshold runs is the increase of velocity at lactate threshold which is simply fatigue resistance. New research reveals that tempo runs have more of a moderate training affect and are more suited to longer distances from 15km to ultra marathons, though it is an important addition to any training plan, however increasing the tempo pace for athletes performing distances up to and including 10kms. Strength Training, the middle child of distance running – When the coach adds strength training to the athletes training plan the reaction is usually a sigh and body language that screams ‘do I have to?’ The answer is a resounding YES. Strength training for runners is divided into two facets. General Strength workouts improve body control and enhance running economy by having to devote less energy to stabilizing mechanics. General strength also enhances the muscles ability to work longer before fatigue sets in. Also emphasis on upper body training should not be set aside because failure in upper body posture will directly cause poor lower body kinematics. Specific Strength workouts train precise neuro-muscular patterns and movements related to running from foot strike to foot strike. Running specific training is designed to mimic the running related movements during a strength exercise, for instance a walking lunge is the exaggerated form of a running stride so it will affect the strength of the legs during the running movement. The leg extension on the other hand does not in anyway mimic the running stride but it is a great specific strength exercise for soccer players. Explosive strength training also falls under the perview of specific strength as performing specific running in a explosive improves power and running economy. So, the quality training you get out of strength training is invaluable and adds enormous benefits to your training plan and will optimize your performances during training and racing. There are also other forms of strength training that can be added to your plan to improve your running performance. I will tackle these in a follow-up article. In conclusion – Quality is more beneficial than quantity but running volume and frequency has it’s place and should be in your training plan, just not in the volumes that you may be used to. Add quality workouts to you plan, and if you don’t know how to structure them get yourself a coach. Your coach will make sure you have a balanced plan with all the necessary components to help you to become a faster more economical runner. If you would like to know more about this article and even possibly need a coach, please contact RacePace – info@racepace.co.za.